1. Lack of buy-in or commitment to an internal Help Desk from upper management. Some companies do not make a serious commitment to the help desk. Due to a lack of understanding, some don't connect the dots between how important the help desk is to restoring productivity to employees that drive the company's core products and services. As a result, the help desk and its budget and requirements are lost in the shuffle. Oftentimes the need for the help desk rears its ugly head when a VIP is down, or some business-critical function is lost. Then managers begin to write repeatable processes designed to fix issues and serve the enterprise instead of being reactive in a crisis. 2. Help Desk is not aligned with the mission of the company as a whole. The help desk must be aligned with the mission of the company as a whole. If the purpose and mission of the help desk has not been embraced by upper management, then the help desk will never fully serve the corporate environment. One question most help desk consultants and sales personnel ask during due diligence is, "Does the Help Desk meet the need of the business requirement?" 3. 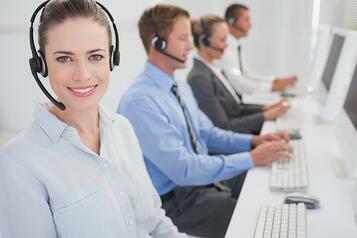 Help desk becomes a priority and the help desk staff doesn't have the expertise or training. Many times, personnel are placed at the help desk because it sounded like an interesting job, or the company ran out of other departmental opportunities due to layoffs, restructuring etc. Because these personnel had served in other areas of the company, management believed these people could handle a help desk position - until the phones started ringing and the quality fell. It then becomes a chore for the IT group to ask for funding for training, skilled personnel and trained customer service managers. 4. The cost of support is too high to have an internal help desk. The costs of telephony, PCs and staffing is more than some companies are willing to spend each year and as a result service suffers. Staffing is typically the largest percentage of an IT manager's budget. One solution some companies look at is to have a help desk that is multi-roled. The potential pitfall is their lack of oversight and the pull of each agent's desire between doing help desk work versus desktop work. Without good oversight one of the two will suffer. 5. The internal help desks cannot handle high call volumes and provide 80% same call/day resolutions. Not ready to speak to an expert? We invite you to download our complimentary help desk challenges eBook.